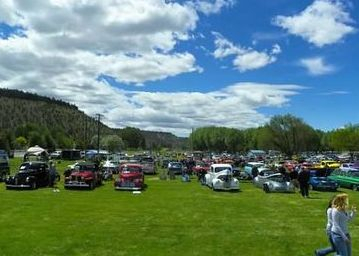 Our car club is based in Prineville, OR (Central Oregon's oldest city). We welcome all makes and models of vehicles. Cars, Trucks, SUV's, Motorcycles. If you have a love of cars, we invite you to attend a meeting and check us out; and please join us at our annual "Cruise to the Center of Oregon" car show every July. 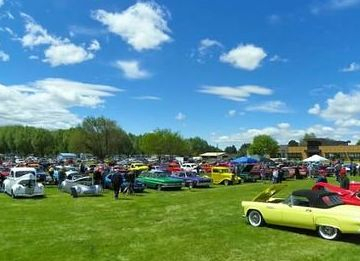 Picture from "Cruise to the Center of Oregon" by Crook County Rodders. All meetings are held the first Wednesday of each month at 7:00 p.m. April's meeting will be on the second Wednesday. View our most recent Club Newsletter. We are a car club active in our community. We promote automotive safety through awareness, communication, and cooperation among car enthusiasts. We project a positive image of a car enthusiast to the general public. We support non-profit organizations with fundraising activities and provide help to our community.